One of the most frustrating things about a new a phone purchase is the seemingly unlimited methods in which a carrier can screw up a device with their own add-ons. Just ask unlocked users of the Nokia E71 and AT&T buyers of the E71x what kind of a difference unbranded phones can make! With this in mind, Nokia is following in the footsteps of Google and Apple in seizing control of the user experience with Maemo by not allowing any carrier customizations. With the N900 on the hopeful T-mobile horizon, we can only be thankful not to endure the endless barrage of magenta interface “enhancements.” Now T-mobile might be better than others (again, just ask E71x users) but Apple and Google have shown that a carrier-free UI has almost no downside. As Engadget points out, carrier subsidies are necessary to bring the price down to a point where the everyman can buy a device, but if Apple, Google and Palm have taught us anything in the last year, it’s that even without carrier customization, the carrier still wins. ← Will Motorola Be Relevant Tomorrow? while that’s certainly great, isn’t this just speculation? We don’t even know for sure the T-Mobile plans to subsidize the N900. Don’t get me wrong, I pray they do…but assuming T-Mobile won’t mess with the hardware is sorta leaping over the fact that T-Mobile will officially brand or carry the hardware at all. The more I read the more I don’t think tMo will subsidize this device. I think Tmo will subsidize the N900… a very very strong based think. Even if it doesn’t, I’ll just buy the non-carrier version. I dont care/believe in that. 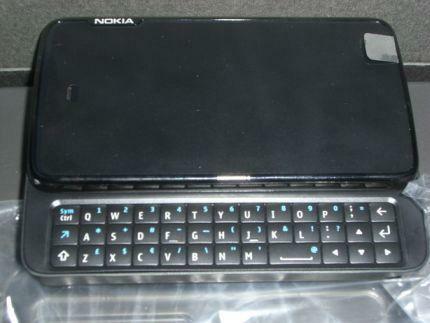 Nokia and TMo disappointed me already, i loved the Nokia Express 5310, and was excited to hear that Nokia was releasing the Nokia Express5800, it was finnaly released and TMO didnt pick it up, why have the first 3 versions of the express and not get the newest one. Before I get all worked up is this phone REALLY coming to Tmo?